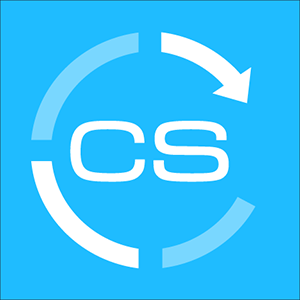 ClientSuccess’ Email Automation feature allows you to standardize and automate email communication to targeted contact roles based on select automation triggers. The same feature can even be used to create customized alert emails for your team. **Note: We’ll continue to introduce more triggers as the new feature is enhanced. Please feel free to channel feedback through your Assigned CSM. Because client-facing Email Automation rules rely heavily on contact badges, we encourage you to check out the following article and user training video. Our team is committed to delivering the best onboarding experience we can to our customers. Would you be willing to share your feedback about yours so far? We'd appreciate feedback - good, bad or ugly - so we can improve where needed. Please use the following link to share your feedback via a brief survey that will only take 2-3 minutes. If you have more details you'd like to share, feel free to reply to this email as well. We hope things are going well and are excited to have you as part of the ClientSuccess family! We have some great additional resources available to your team and wanted to give a friendly reminder/invitation to check out our knowledge base. Below are some of our most popular articles. As we're coming up on your renewal in a few months, I'd love some feedback regarding your experience with us and if you are in need of additional licenses to accommodate for any team expansion you may have. I've included a link below for our short renewal survey. It only has up to 5 questions and should only take 30 seconds to complete. Your comments will be reviewed by me, our CEO and our process improvement team. It's been a while since we've connected so I wanted to see if we can schedule some time to meet soon. My goal is to ensure we're aligned to your needs and helping you achieve them. Let me know your availability for a call this week or next. (Client company name)'s SuccessScore has dropped below 50 which is not good. When is their next renewal? When was your last engagement with the key contact? Executive sponsor? What could you do to have the biggest impact on their overall score? Where did their score drop and how are you going to engage them to address it? Are they accomplishing their Success Criteria? Have you captured and updated their latest Success Criteria? If you need executive engagement, please engage Dave or Jarin. Let's turn this client around! Congrats! (Client company name) has reached a SuccessScore above 70! This would indicate they're in a pretty good spot. When is their next renewal? Is there opportunity for an early renewal? Expansion? Has the team filled out a G2 Crowd review ? Is the customer willing to be a reference for a prospective customer? Have you captured their most current success criteria to keep the momentum? Again, congrats on your hard work to build relationships that last! This is a friendly reminder that it's been 60 days since (Client company name) started their onboarding, meaning they should have completed or be near completing the steps outlined in our onboarding SuccessCycle. Have you held the Success Criteria Check-in? Are there onboarding steps that are still outstanding? Is the client actively working on such items? What is their Scorecard Score? What additional adoption points could help them continue to achieve their success criteria? Is the executive sponsor aware of any successes (or obstacles) that have occurred during onboarding? Great job on the work that you do. Keep it up! This is a friendly reminder that it's been 45 days since your last touch with (Client company name). What is their Scorecard Score? What additional adoption points could help them achieve their success criteria? This is a friendly reminder that (Client company name) has a renewal coming up on (Subscription renewal date) for (Subscription ARR). Has the client filled out the Renewal Survey? Is there potential for an early bird renewal or multi-year deal? When was the last engagement with your key contact and/or executive sponsor? Does it make sense to engage with them now? Have you updated your Forecast Notes in ClientSuccess? Is there opportunity for upsell? Are there any risks that need to be addressed?